Do you want to edit your photo so it looks like a painting? Some photos can look striking as a painting. 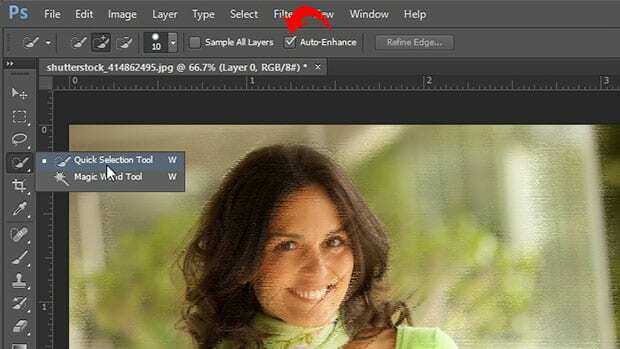 In this article, we will show you how to make a portrait look like a painting in Photoshop. 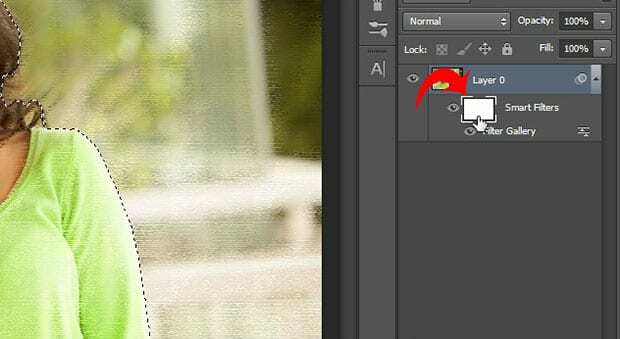 First thing you need to do is open your portrait in Photoshop. 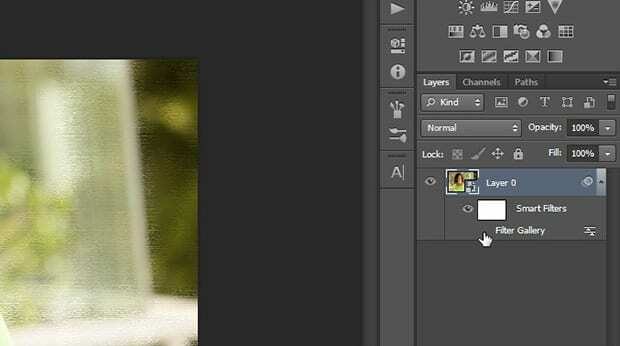 Now right click on the Background layer in the Layers panel on the right-hand side of your Photoshop screen and select Convert to Smart Object. 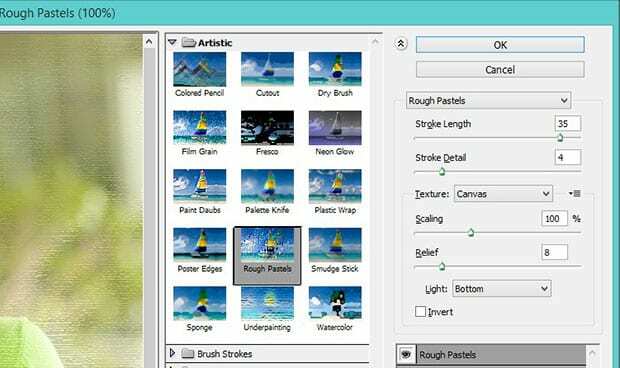 Next, go to Filter » Filter Gallery and select Rough Pastels. In the settings, you should set the Stroke Length to 35, Stroke Detail to 4, and Relief to 8. You can leave everything as-is and press the OK button. This will add a texture to the image that gives the basic look of paint brush strokes. But, we’re not done yet! In the next step you need to turn off the visibility for the Filter Gallery from the Layers panel (click on the eye icon to toggle it off). 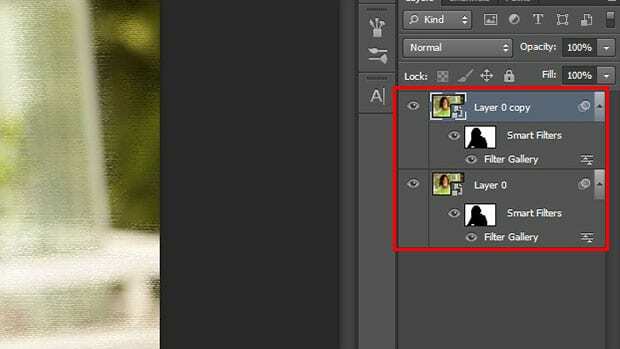 Then select the Quick Selection tool to make a selection on the body in your portrait and check mark the Auto-Enhance option. First, click on the area of the image where you want to add the selection. Now you can turn on the visibility of Filter Gallery, and click on the mask layer of the Filter Gallery to activate it. Then, simply go to Edit » Fill and choose Black in the Use dropdown. Press the OK button. This will remove the texture from the selected area. Now press Ctrl + D to remove the selection. After removing the texture, you should press Ctrl + J to duplicate the layer with the filter effect. 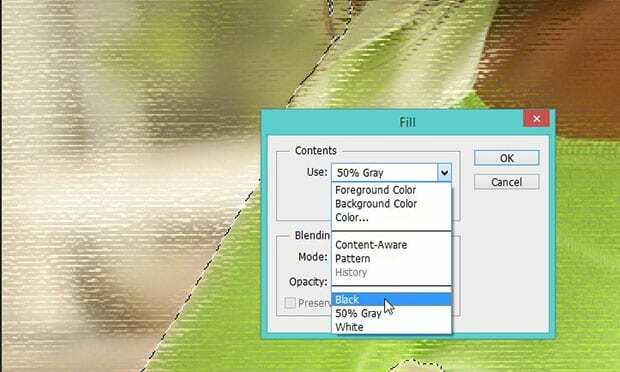 You’ll need to click on the mask of the Filter Gallery for Layer 0 Copy and press Ctrl + I to inverse the colors. Next, go ahead and double click on the Filter Gallery to edit the settings. Set the Stroke Length to 0, Stroke Details to 1, and Relief to 5. You should again go to Filter » Filter Gallery. 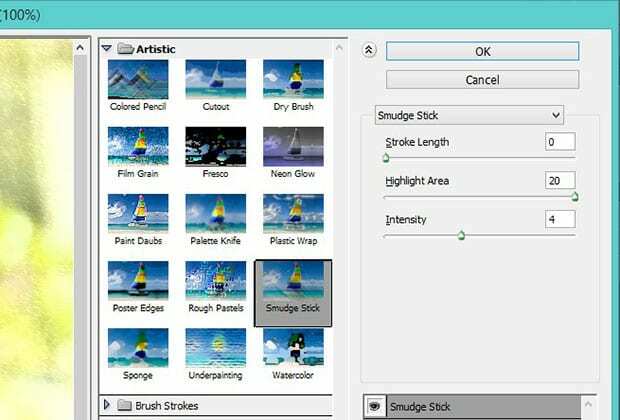 This time you need to choose Smudge Stick from the filters. 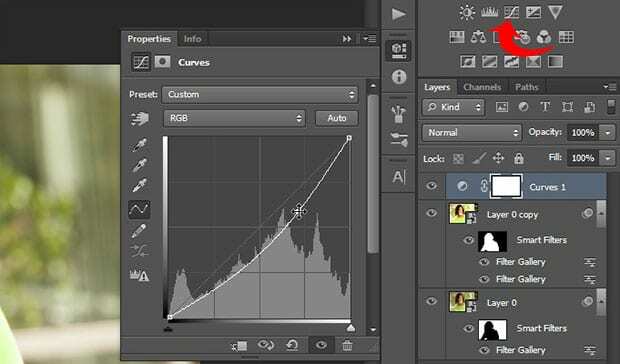 Lastly, you’ll need to add a Curves adjustment layer from the Adjustments panel (you can find the Adjustments panel at the right-hand side, above the Layers panel in your Photoshop screen). 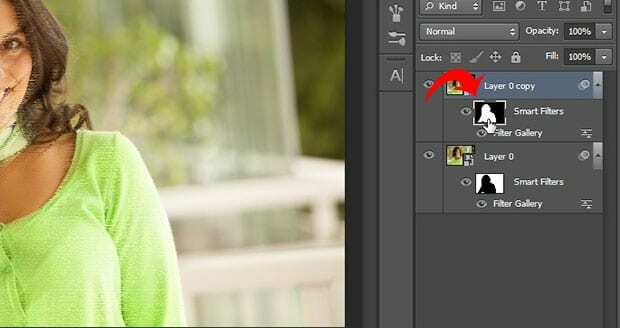 Simply lower down the curve as shown below to add a nice shadow and glow effect to your image. Use the above settings as a guideline, but feel free to change it up to suit your own style and needs. We hope this article has helped you to learn how to make a portrait look like a painting in Photoshop. 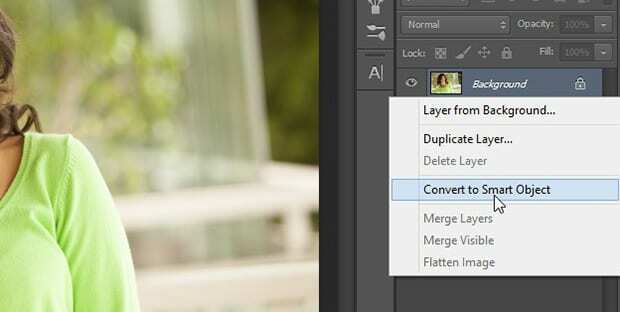 You may also want to check out our guide on how to create a typography portrait in Photoshop.